As the keystone of our religion, the Book of Mormon is high-priority reading. Naturally, it is read with varying degrees of comprehension, and many of us need assistance to deepen our understanding. 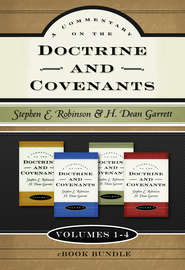 This four-volume commentary focuses on the most significant aspect of this standard work — doctrine. 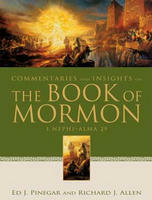 Dividing the material into convenient topical sections, each volume quotes the Book of Mormon verses and gives detailed commentary that reflects not only the authors' own considerable scholarship and research but also the insights of other scriptures and modern prophets. This invaluable commentary will help readers draw nearer to God by enhancing their study of His sacred word. This is a verse-by-verse commentary. My husband and I read from it each night while studying the Book of Mormon. The commentary is insightful and we learned many new and interesting things/points about most every section. The authors are very knowledgeable and reliable in the things they share. I highly recommend this set of books to everyone. I sought and purchased copies of this set back when it was out of print because it is such a great resource! I am thrilled that it is now readily available to others! There are many quotes from prophets as well as footnote scriptures to help shed light on the depth of meaning in the Book of Mormon. Gives great help and insight and is very doctrinally sound. I have owned this set for about nine years now. I loved it the second I bought it. 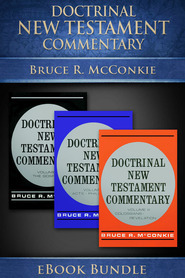 It has excellent commentary describing the doctrine that is taught in the B.o.M. It will add to anyone's gospel understanding, and leave them with a greater appreciation for this second witness of Christ. I highly recommend this set! 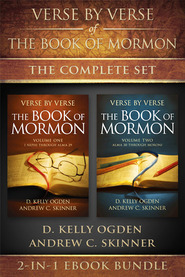 A wonderful reference guide to the Book of Mormon. Insightful and well worth the $$. I am especially impressed with the fact that the authors included the original text before their commentary. This made the reading much easier and more conducive to scripture study. 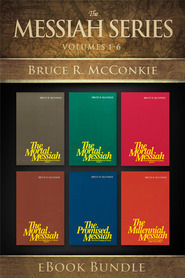 I was first introduced to this series in the early nineties by one of the authors, Joseph F. McConkie, when I was in a BofM class. The book series is fabulous and I still refer to it today. It's well worth every penny.